New research shows PRP injection (Platelet-Rich Plasma) is being used in orthopaedics with increasing frequency and effectiveness for sports injuries and osteoarthritis. PRP is also helping some athletes to avoid surgery. Tiger Woods, Kobe Bryant, Alex Rodriquez, Hines Ward and many elite athletes have used PRP therapy for sports injuries. In PRP therapy, a patient’s own blood is drawn, separated and re-injected into injured joints and muscles to ease pain. PRP injection can be used to treat osteoarthritis of the knee, hip, shoulder, and spine, meniscus and rotator cuff tears, chronic plantar fasciitis, anterior cruciate ligament (ACL) injuries, tennis elbow, ulnar collateral ligament injuries, ankle sprains, tendonitis and ligament sprains. I attended the AAOS (American Academy of Othopaedic Surgeons) 2012 Annual Meeting where the most up-to-date research on PRP was presented. Several studies reported promising new results for this new therapy. New study reports 94% ‘return to play’ for athletes who underwent PRP injections. In one study, researchers demonstrated a 94% “return to play” for athletes who underwent PRP injections for partial ulnar collateral ligament tears. To me, this success shows that many Tommy John surgeries might be avoided by opting for PRP treatment first. Another study reported that PRP can be more effective than cortisone injections for short-term and long-term relief of severe chronic plantar fasciitis. The bioactive proteins of PRP stimulate healing and cause the degenerative tissue to repair and regenerate itself. Cortisone injections simply mask inflammation and have no healing capabilities. PRP is starting to show more evidence of producing long-lasting relief, and we will keep you updated as more clinical research is reported. 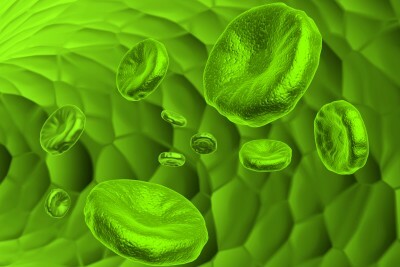 Let’s explore if PRP a Treatment Option for your condition? If you have a sports injury or osteoarthritis and have questions about PRP injection and PRP therapy, please ask me in the comments below or contact my orthopaedic office in Hawthorne in Westchester County, New or Fishkill in Dutchess County York. You can also make an appointment by emailing: jbiddle@uopc.org. Tennis Elbow: What is it? Is PRP an option? How is a PRP injection performed? It doesn’t sound like the PRP helped very much :-( Perhaps your arthritis has progressed too far ??? After a few months have gone by, cortisone injections are ok. Especially if the knees are still painful, and swollen. I have a right knee lateral horizontal degenerative tear of about 4 months duration. I have read from patients that the injection is very, very painful. Is this generally true? Is it true even if lidocaine is injected beforehand? What about post-injection pain? What are the latest findings about safety and effectiveness of PRP for this type of meniscal tear? Would you still recommend it before surgery? I live in the San Francisco Bay area in northern CA. Do you know of a reputable place here to get this treatment? PRP injections into the knee for OA are not typically painful… it will produce soreness. Pain usually arises if the injection is placed into the soft tissues around or inside the knee and not the joint itself. PRP for meniscus tears alone has not been met with significant success. In many with tears as well as arthritis it might be a reasonable option to try before surgery. Thanks for the super informative website ad your tireless responses! There’s no firm data on this… but many of us will inject bone marrow after a meniscal repair to hopefully improve the chance of the tear healing.